This information is from our registration database. 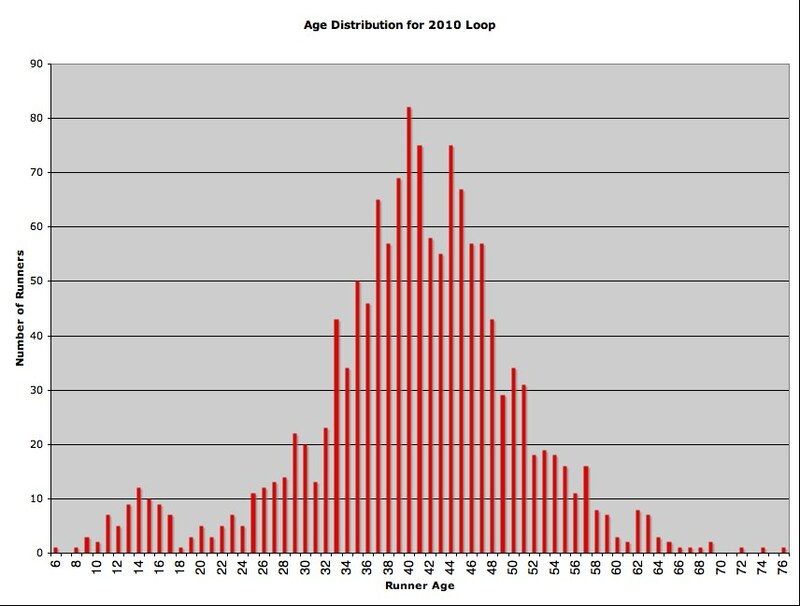 The age with the most runners is 39 years old at 82 runners registered. The oldest runner was 76. The youngest registered runner was 6 years old! I don’t think he made it to the finish line. 😮 Youngest finisher was 8 years old. There seems to be a mini peak at around age 14 and then a drop off as we approach 18 years old. Maybe high school students are more likely to run in road races or for their track team?